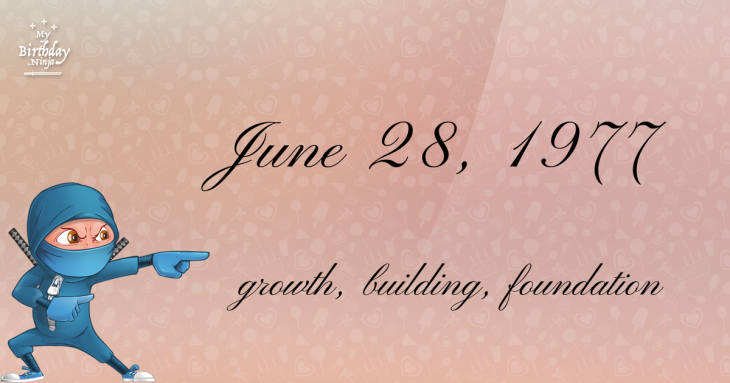 Here are some snazzy birthday facts about 28th of June 1977 that no one tells you about. Don’t wait a minute longer and jump in using the content links below. Average read time of 10 minutes. Enjoy! What day was my birthday Jun 28, 1977? June 28, 1977 was a Tuesday and it was the 179th day of the year 1977. It was the 26th Tuesday of that year. The next time you can reuse your old 1977 calendar will be in 2022. Both calendars will be exactly the same! This is assuming you are not interested in the dates for Easter and other irregular holidays that are based on a lunisolar calendar. There are 70 days left before your next birthday. You will be 42 years old when that day comes. There have been 15,270 days from the day you were born up to today. If you’ve been sleeping 8 hours daily since birth, then you have slept a total of 5,090 days or 13.94 years. You spent 33% of your life sleeping. Since night and day always follow each other, there were precisely 517 full moons after you were born up to this day. How many of them did you see? The next full moon that you can see will be on April 19 at 11:14:00 GMT – Friday. Fun stat: Your first one billion seconds (1,000,000,000) happened sometime on March 6, 2009. If a dog named Peddie - a Norwich Terrier breed, was born on the same date as you then it will be 184 dog years old today. A dog’s first human year is equal to 15 dog years. Dogs age differently depending on breed and size. When you reach the age of 6 Peddie will be 40 dog years old. From that point forward a small-sized dog like Peddie will age 4 dog years for every human year. Muhammed VI becomes the tenth Nasrid king of Granada after killing his brother-in-law Ismail II. Archduke Franz Ferdinand of Austria and his wife Sophie are assassinated in Sarajevo by Bosnia Serb nationalist Gavrilo Princip, the casus belli of World War I.
Romania cedes Bessarabia (current-day Moldova) to the Soviet Union after facing an ultimatum. Elections are held for the Northern Ireland Assembly, which will lead to power-sharing between unionists and nationalists in Northern Ireland for the first time. Slobodan Milošević is deported to ICTY to stand trial. What does my birthday June 28, 1977 mean? 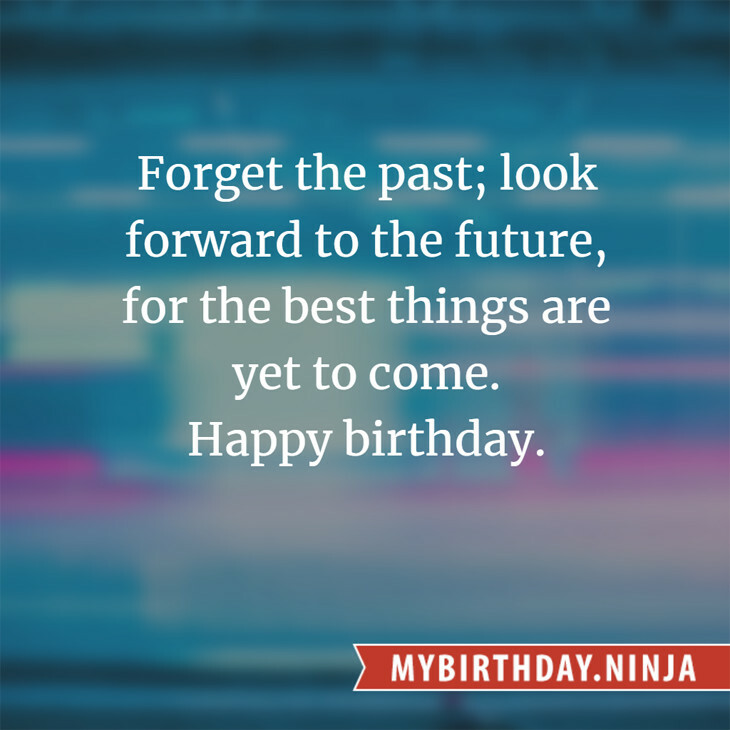 Your birthday numbers 6, 28, and 1977 reveal that your Life Path number is 4. It represents growth, building and foundation. You are practical, down to earth with strong ideas about right and wrong. The following celebrities also have the same life path number: Marq Torien, JJ Lin, Larry Mullen, Jr., Manos Papayiannis, Maggie Cheung, Marius Müller-Westernhagen, C. C. Swiney, Pier Angeli, Daniel Darc, Meagan Tandy. What is the birthday horoscope for Jun 28, 1977? The Western zodiac or sun sign of a person born on June 28 is Cancer ♋ (The Crab) – a cardinal sign with Water as Western element. The ruling planet is Moon – the celestial body of moods and emotions. According to the ancient art of Chinese astrology (or Eastern zodiac), Snake is the mythical animal and Fire is the Eastern element of a person born on June 28, 1977. Fun fact: The birth flower for 28th June 1977 is Rose for devotion. What is the Love Match for Jun 28, 1977? When it comes to love and relationship, you are most compatible with a person born on February 23, 1998. You have a Love Match compatibility score of +145. Imagine being in love with your soul mate. On the negative side, you are most incompatible with a person born on December 19, 1988. Your incompatibility score is -166. You’ll be like a cat and a dog on a love-hate relationship. Arf-arf, I want to bite you. Meow-meow, stay away from me! How many babies were born on June 28, 1977? Base on the data published by the United Nations Population Division, an estimated 121,958,945 babies were born throughout the world in the year 1977. The estimated number of babies born on 28th June 1977 is 334,134. That’s equivalent to 232 babies every minute. Try to imagine if all of them are crying at the same time. What is the popular baby name on 28 Jun 1977? Here’s a quick list of all the fun birthday facts about June 28, 1977. Celebrities, famous birthdays, historical events, and past life were excluded. Try another birth date of someone you know or try the birthday of these celebrities: March 16, 1947 – Baek Yoon-sik, South Korean actor; September 30, 1964 – Monica Bellucci, Italian model and actress; August 7, 1957 – Daire Brehan, Irish journalist, lawyer, and actress (d. 2012).